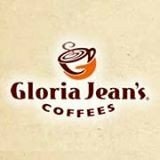 A complete List of Restaurants and Best Dining in Faisalabad Pakistan with the menu, prices, location, map, address and contact details. You can also check public and customer reviews here before reserving your Restaurants in Faisalabad. In this list, you can find the best restaurants in Faisalabad, there are lots of popular restaurants in Faisalabad which are best known for their services, seating capacity, hygienic atmosphere. You can also find the best restaurants in Faisalabad for your meetings, groups parties, hangout, dates, birthdays, weddings, father's and mother's day, even for your anniversary. The Pizza Shop offering wide range of dishes. The Pizza Shop is the best place where friend meet & enjoy their meal. Rays Hotel gives a high quality & delicious foods. Rays Hotel is well reputed restaurant who provides tasty foods. This place is very famous .Orintal dishes is very testy and dilicious. Order food or reserve online at Oriental Faisalabad. full menu with prices. The Real Taste is well reputed restaurant who provides tasty foods. They are offering wide range of dishes. Hot n Ice offering wide range of dishes. Hot n Ice is the best place where friend meet & enjoy their meal. Usmania gives a high quality dishes. It is well reputed restaurant who provides tasty foods. Lasania is well reputed restaurant who providestasty foods. They are offerin wide range of dishes. KFC is one of the biggest chain shops in the world. They offering many deals. Apple Nine is a very famous place in Faisalabad. They offering many tasty & delicious foods. McDonald is the best place where friend meet & enjoy their meal. McDonald provides high quality dinning area & wide array of tasty foods. Food Connection gives a high quality & tasty dishes. it is well reputed restaurant who provides tasty foods.